JLG telehandlers are associated with words like amenity, assurance, and serviceability. The cabs of these telescopic forklifts feature improved visibility, and the wide scope of attachments provide enhanced versatility on the job site. This unit will enable its operator to succeed in accomplishing numerous tasks due to its power, versatility and smart technology. With the immense value this vehicle brings to any job site, pairing it with quality telehandler tires must always be an important consideration. Each work site, whether its construction, agriculture, industrial or mining applications, will require a different tire tread pattern. Also, the use of solid, pneumatic or semi-solid tires will need deliberation based on job site specifications. 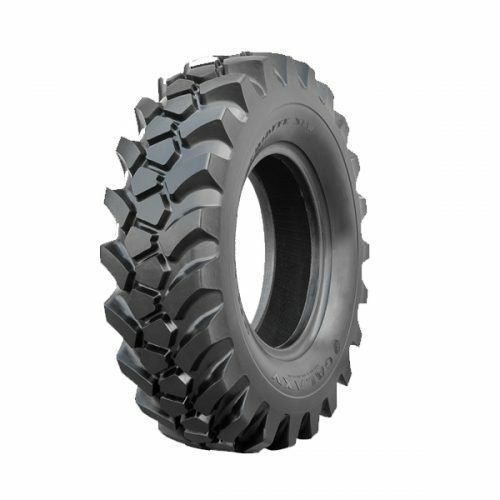 A G2 tread pattern with a 12 PLY performs well in agricultural applications but not in construction operations. Whereas an E3 tread pattern with a 16 PLY would be ideal in construction work sites but not in swampy, muddy terrain. Make Monster Tires your go-to resource for all your tire purchasing needs and inquire about our referral discount for added value and savings.